A small town located a few kilometers from Rome at the foot of Mount Ginestro, between the Aniene and Sacco rivers. A perfect mix between present and past. 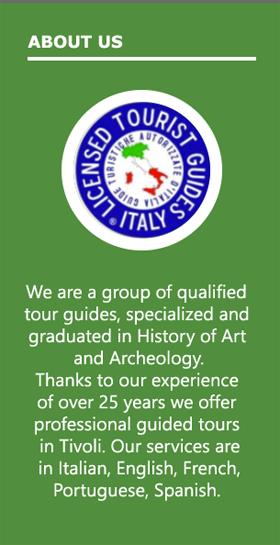 The guided tour that we offer includes the city of Palestrina and the National Archaeological Museum of Palestrina. The duration of the visit to Palestrina is about 2 hours: the cost per guided tour starts from 150.00 euros for a maximum of 20 people. As for the National Archaeological Museum, the cost of admission is 5 euros. You can reach Palestrina by car along Via Prenestina or by regional train from Termini stopping at Zagarolo. The National Archaeological Museum is located in the Colonna Barberini building, a historic building in Palestrina. Here are kept many archaeological finds found on the site over the years: among these stands out the Mosaic of the Nile, a masterpiece dating back to the II century BC. The entire museum consists of 16 rooms with objects of all kinds. Immediately outside the museum, there is an archaeological area that includes the remains of the architectural structures that are part of the ancient Sanctuary of Fortuna Primigenia. It is not just the findings contained in giving value to the place; even the building itself, Palazzo Barberini, is an important site of artistic value. A Renaissance palace built on three floors where the most important finds from ancient Praeneste are exposed. 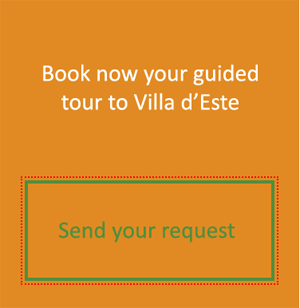 We offer guided tours in Palestrina that include excursions in the city, between the picturesque and characteristic alleys of this village up to the center of the town. You can also visit the Cathedral of St. Agapito, the Gate of the Sun, the famous sacred area with the ancient forum of Praeneste, the area of the Arcioni. 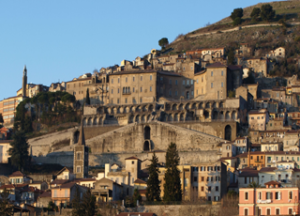 An interesting excursion in this small town that is located less than 50 kilometers from Rome and has just over 20 thousand inhabitants. A gem that is worth visiting and that stands where once, in ancient times, was present the ancient Praeneste. An area today full of archaeological sites of cultural interest and that, based on information acquired over the years, was already inhabited in the eighth century BC.